Named for Tom’s grandfather, Jon’s Landing has been in the family since it was built in the 1970's. “Papa” Jon retired to Chatham, and four generations of family members continue to make memories. 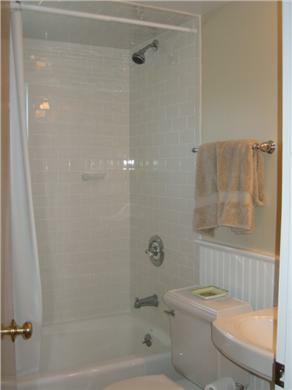 Expanded and updated in 1999, the modern kitchen and bathrooms feature all the comforts of home. The house also features an outdoor shower. 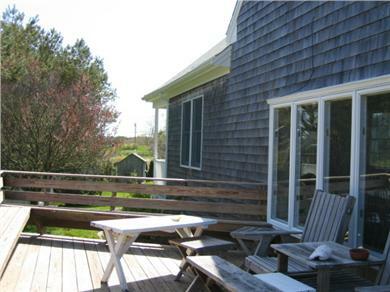 The front porch overlooks an expansive yard, and the side deck is perfect for barbeques. 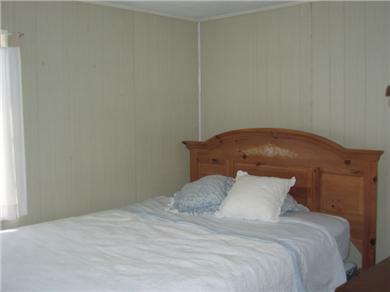 The house has 3+ bedrooms and 2 full baths. 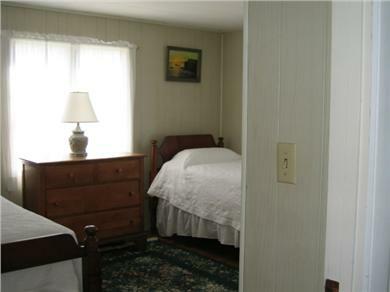 The main floor bedrooms feature 1 Queen and 2 Twin beds, and the second floor bedroom has 2 twin beds. 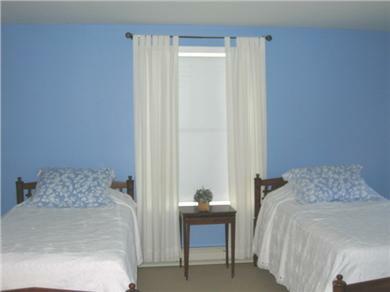 The second floor den features a day bed (2 additional twin beds). And there are 2 more twin beds in the in the basement. 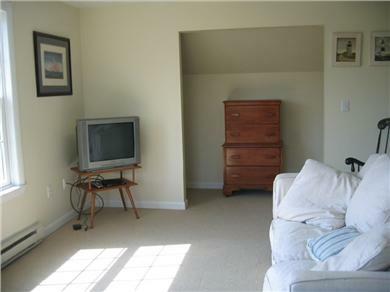 Additional sleeping space is also available with a Full-size pullout sofa in the living room. 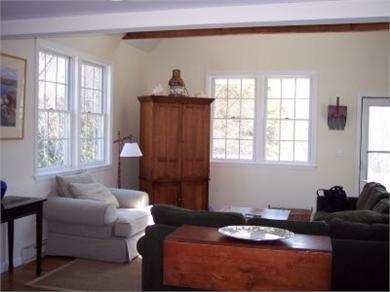 The setting is serene, offering relaxation and privacy with a traditional 'old Cape Cod' feeling. 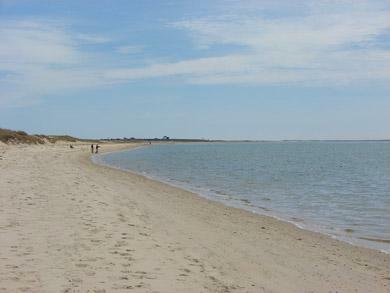 The house is about a mile from both Harding's Beach and Lighthouse Beach, and the nearby ponds are a great option for anyone with young kids. The local fish market and grocery store are walking distance from the house. Downtown Chatham, known for its wonderful shops and restaurants, is less than a mile from the house. And the ice cream parlors make everyone feel like a kid! There are great paths for biking, walking or jogging…and the local playgrounds are a great way to spend a morning with the kids before hitting the beach. In the evenings, you may want to cheer on the Chatham A’s baseball team or enjoy the summer concerts. I enjoyed a perfect week with my 2 college-aged kids plus one friend. 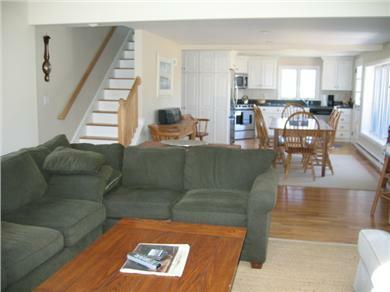 The layout of the house accommodated us nicely. 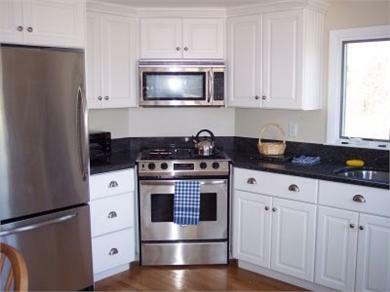 The house is clean and tastefully decorated with modern appliances. 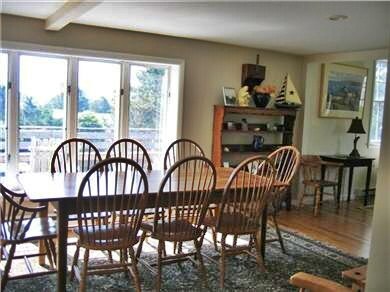 We loved the open and sunny kitchen and dining area with adjoining living room. 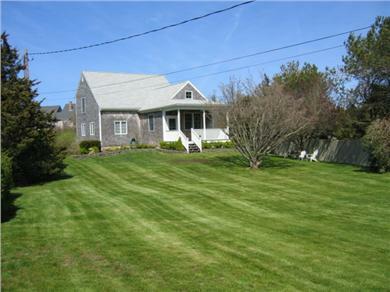 The house is conveniently located, but quiet. 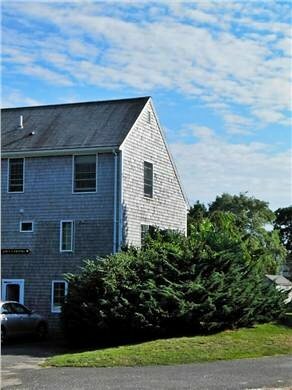 A short drive to Chatham town and easy to get to all the area beaches as well as to Route 6 for trips to Provincetown and all the stops in between. We will definitely be back! Returning for our 3rd year in a row! We are planning our 3rd summer at Jon's Landing! 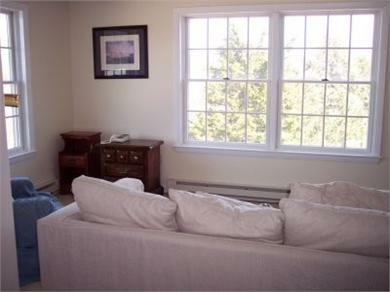 This home is perfect for young families, families with older children, couples, etc. It has something for everyone! We are a family of 4 with young children, and we look forward to returning year after year. We even love to bring extended family and friends to share the fun with. We have been coming here since our children were 3 years old and 6 months. We love playing in the very large yard, watching the bunnies, riding our bikes in the driveway (which is at the end of a little lane, no other traffic than your own cars! ), having coffee on the front porch while enjoying the breeze and afternoon strolls.